...according to Belgium Minister of Finance Didier Reynders. I think it was a Bismarck line to never believe anything until it has been officially denied. But that probably does not apply in this case. Nonetheless, Fortis shares are off 40% since 1 September and the cost of protecting their bonds from default has surged to record levels, according to Bloomberg this morning. This is all about Tier 1 adequacy levels related to absorbing the circling albatross of ABN Amro operations. Fortis need €5bn by 2010 (their timetable); their market cap is about €13.6bn as I type; and the capital raising window - be it equity, debt or disposals - is currently hardly open. Oh, yes. 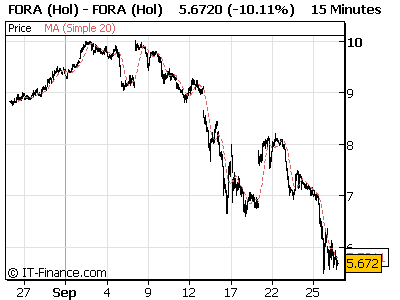 Fortis have also this morning, in an attempt to quell "rumours", said that only 3% of its Benelux retail and private-banking customer assets have left it since 1 January.